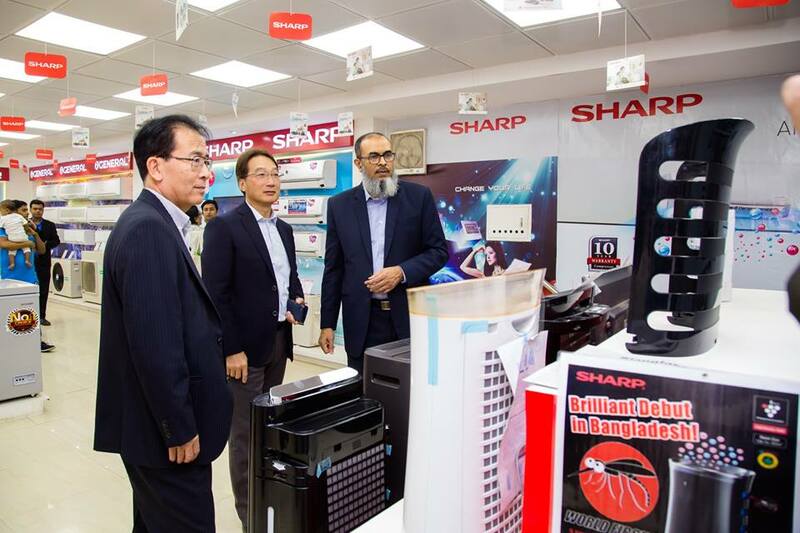 High officials of Sharp Corporation have recently taken a tour of the Sharp Premier Pavilion – 10 in the Dhaka International Trade fair. 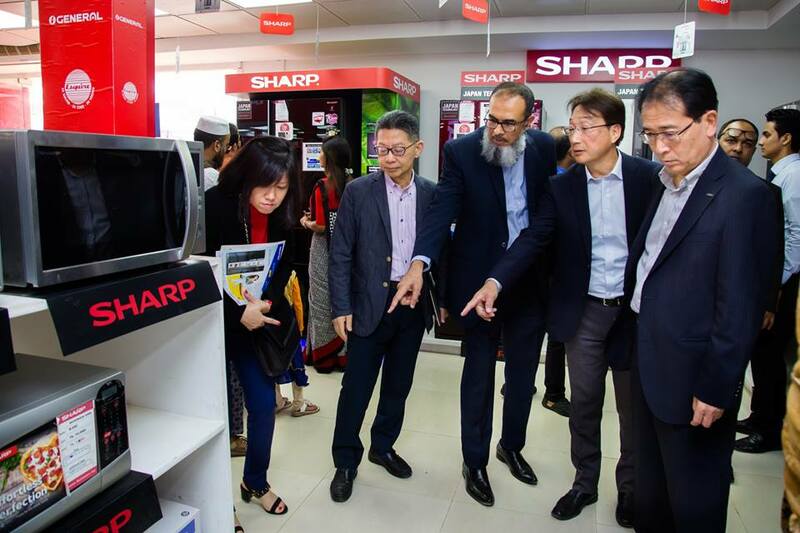 The tour was attended by Mr. Yoshihiro Hashimoto, (Executive Managing Officer, Head of President’s Office, CEO ASEAN Business) and Mr. Masahiro Okitsu (Executive Managing Officer, President Business Unit) from Sharp Japan Corporation and Mr. Hayakawa (Managing Director, Sharp Singapore Corporation). The event took place on the last day of the DITF fair. Senior members of Esquire Electronics management accompanied them on the visit and showed them around the fair. After the tour, Mr. Hashimoto, Mr. Okitsu and Mr. Hayakawa praised the beautifully crafted pavilion and expressed their excitement at the number of consumers attending the trade fair. They assured continued assistance and support for Esquire Electronics and it’s future endeavours. Esquire Electronics and Sharp are working on big plans for the future to bring more benefits and products at the hands of consumers. 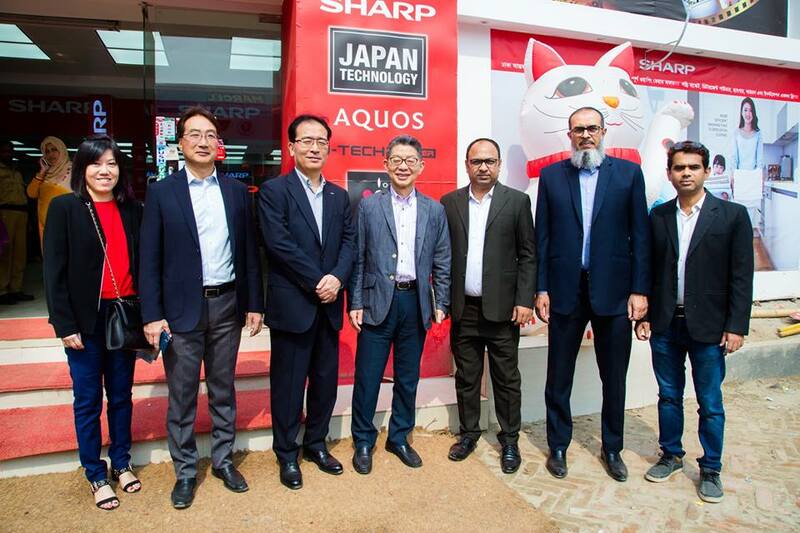 It is worth mentioning that Esquire Electronics Ltd. is the sole authorized distributor of the Japanese electronics brand Sharp in Bangladesh and has been playing this role consistently for the past 30 years.